After a good breakfast of eggs and biscuits, we started out on the next leg of our trip toward Big Bend National Park. 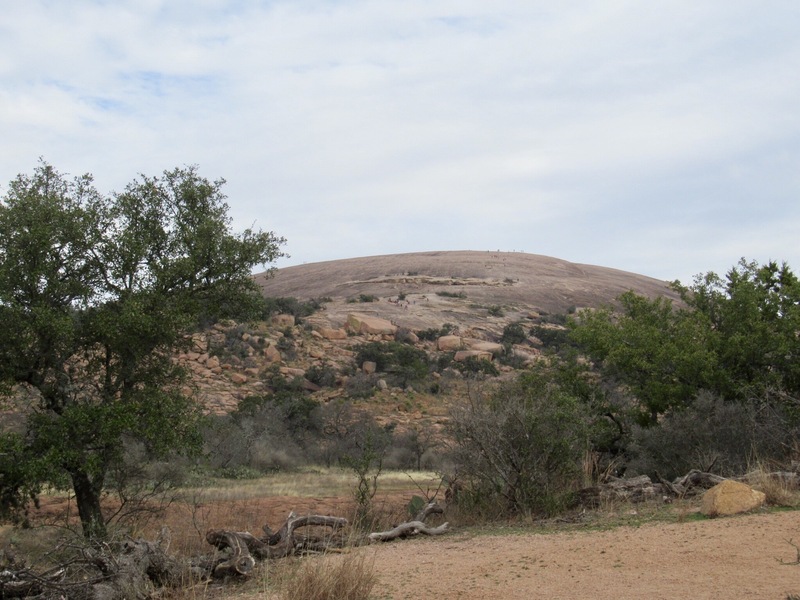 It’s more than a comfortable days drive to Big Bend from New Orleans, so we found Enchanted Rock State Natural Area northwest of Austin, Texas to help break up the drive. It was about an 8 hour drive to Austin, and we made a quick stop to visit my friend GM. It had been at least 5 years since we saw each other last, so it was fun to catch-up (and eat some delicious Texas BBQ)! 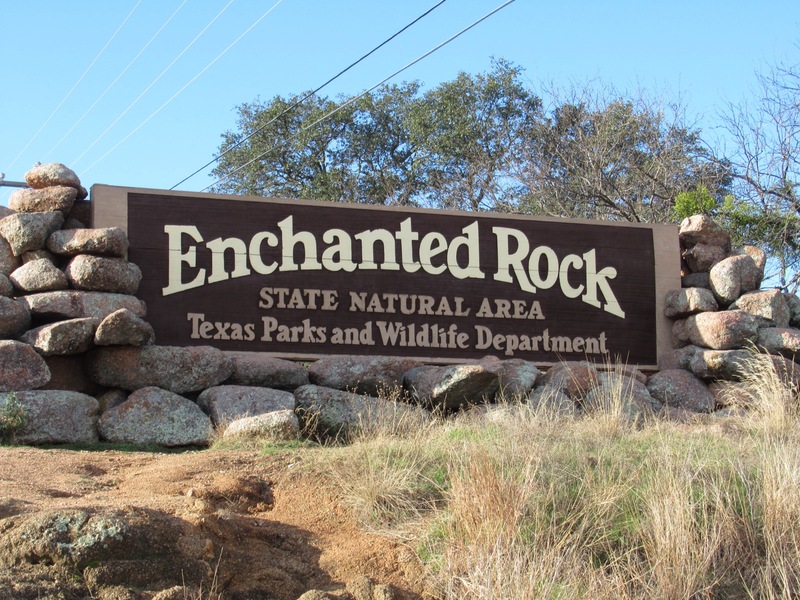 After dinner we headed out of town to get closer to Enchanted Rock for Saturday morning, as we had heard the park can close on weekends due to large crowds. We had discovered a few days earlier that all 60 campsites at the park were full for Saturday night, so we had particular reason to be alarmed! Our effort was rewarded, and we were able to enter early and get hiking! We went straight to the top of the large pink granite rock monadanok (rising nearly 400 ft from the flat surrounding ground), and then spent the rest of the morning hiking around the surrounding area. While there were a lot of people there, we had no problems finding peace and quiet; and it is always nice to see people enjoying the great outdoors. On our way out the park was closed due to being at maximum capacity, we were glad to have been able to get in. 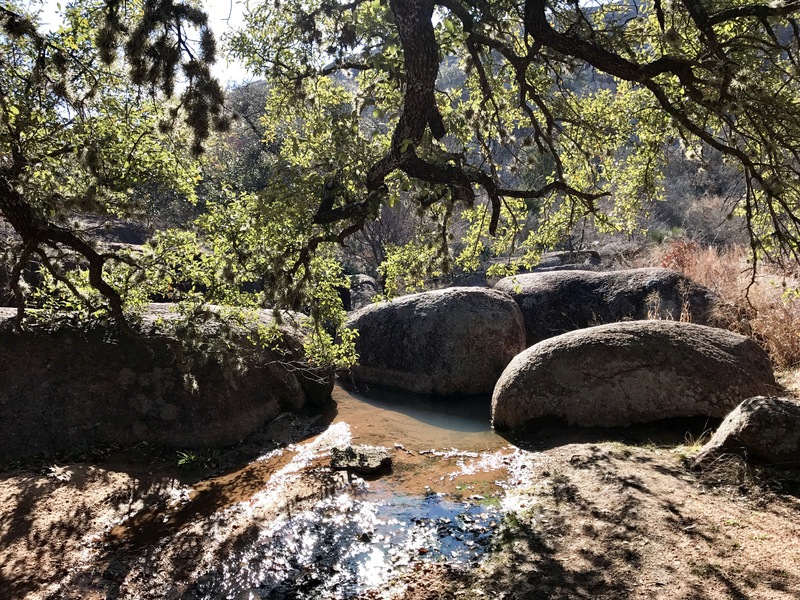 Since there was no camping available at the park, we ventured westward to South Llamo River State Park. It was quiet when we arrived around 4pm, but park headquarters was still open. We got checked-in to a campsite, and started dinner. 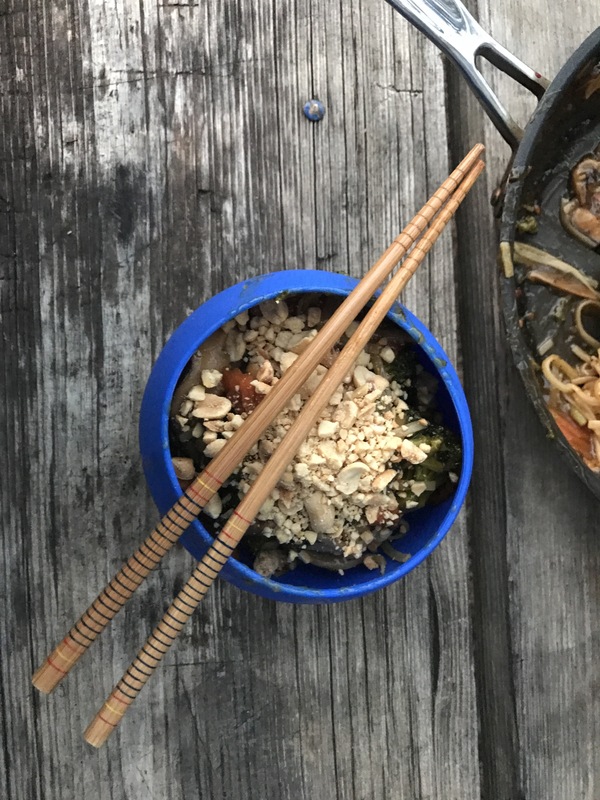 We had stopped at a grocery earlier, and gathered five ingredients to make a noodle stir fry (pad thai noodles, mushrooms, mixed veggies, king pao sauce, and peanuts). It turned out great, although very spicy! Just as we were finishing it started to sprinkle and the wind picked up. We scrambled to clean-up and dashed into the tent before the rain fell harder. We had a surprisingly cool and windy night, which was actually nice after the last few warm humid nights in New Orleans and Alabama.